‘Tapasya’ a Sanskrit language word means, ‘the dedicated effort towards an attainment of a noble cause or a positive personal purpose for the self within or for the universe’. ‘Tapasya’ spreads its wings in the arenas of health, personal transformation and inner happiness through Yoga & Natural Medicine. We serve through the Research, Awareness, Training (seminars, workshops), Consultations, treatments, Rehabilitation & Community services. We believe and proved repeatedly that ‘Yoga is Medicine’, not just a practice done in studios. Dr.Dwarakanath (Dr.D!) and Dr. Saraswati (Dr. Swati!) are practicing physicians with 18+ years of experience. Tapasya became a reality with the kind enthusiastic involvement of likeminded friends, eminent artists, who are part of the ‘think tank’. They are all health and life-style enthusiasts! After extensive research & analysis, our doctors & scholars of Tapasya, understood the link- Mind, Body Axis. Tapasya’s solutions are a combinative effort of modern medical education with the time tested Asian sciences. We strongly believe in the core philosophy, ‘Nature is the best Healer’. We also find guidance through ancient healing systems like Natural medicine, Ayurveda, Chinese medicine, Vedic knowledge, Buddhist & Zen principles. The wisdom and knowledge of Yoga, Yogic Philosophy &Yoga therapy gives us the foundation to care and cure. We prescribe Yoga as Medicine. The whole World spends 80% of Health budget money and Time in treating diseases instead of preventing it. We should start calling it Disease Budget, instead of Health Budget. We at Tapasya are into teaching and treating ‘Preventive Health Care’ and simple stress management. Tapasya stands to bring about lasting changes in the personal growth of people seeking transformation, beyond just curing illness. Dr. Dwarakanath, (Dr.D!) is a Physician with 18+ years of rich experience. Dr.Dwarakanath’s personal mission closest to his heart is to create awareness on ‘Natural Health and Yoga’ to maximum number of people whom he can reach in all walks of life. Dr. Dwarakanath Completed his degree in Indian Medicine from Mangalore University (He is from 1992 Batch). He founded the ‘Mitran foundation’ with fellow doctors in 1999. It is an organization dedicated for ‘Stress Management’. He is passionate about Natural medicine and Yoga. In his Holistic health centre at Tiruppur, South of India, he found great success in treating patients with infertility issues. That was absolutely through in depth study and understanding of human body, natural remedies & using Yoga as medicine. His personal discovery that the restorative powers of people is enormous and through which the ‘Mind Body Axis’ is clearly understood. This led him to look at the world from different positive perception. He is the pioneer in the areas of ‘Preventive Health Care’ concepts & Corporate Stress Management. He had served in Bali & Maldives in association with the internationally acclaimed resorts COMO Shambhala Estate- Bali & COMO resorts of Cocoa Islands- Maldives. In these projects, through Holistic Health approach helped people of various nationalities. It was an experience of importance and wide exposure. His training programs in London and Europe, ‘Promotion of Positive Health’ are a great success. His services are enjoyed by various sectors and wide range of organizations. To give few as an example, TCS-India, Off shore teams of Cisco, Bank of America, HCL-India, State Bank of India, Life Insurance Corporation of India, Indian Police service, various associations and organizations like Lions Club, Rotary International, Jaycees, Giants and Indian Red Cross. After a yearlong sabbatical of self introspection, he came to his personal realization. The realizations lead to his charitable programs for the upliftment of people who live in the margin of the society. The specialized areas of his expertise are in three. It is through Natural healing methods and Stress Management. In case of corporate trainings, we concentrate on preventive health plan with training and personalized natural curative health plan with consultations. Fertility care is by using Yoga & non invasive treatments as tools. He is an expert in designing and executing programs for charitable purposes like Street kids, prisoners and rural women health. Modern day white collar professionals stumble into chronic ailments as early as mid-30’s. It is because of non-stop deadlines leading to stress induced chronic diseases. The medications are equally toxic. Dr.Dwarakanath is involved in research and analysis of the projects involving the ‘Stress & its impact on Health’. He designs various programs in the areas of Stress Management. It involves, Yoga based methods, Natural Health and Indian Traditional medicine. The Meditations and self help life-style programs designed by him are user friendly and qualitatively assessable. He also designs the Corporate Stress Management trainings. They are specific to people and the work culture in their organizations. His clients are from Software, Banking, Media and many fields of work. He has conducted his programs in Europe, Singapore, Bali and India. The fertility care mind plays more important role in balancing bodily functions and hormones. So Meditation, auto suggestion and understanding mind and body axis is essential. Our fertility program has 90% success rate. In the fertility care, treatments involve non-invasive treatments like Yoga, homemade herbal preparations, nutritional counseling, hydro therapy, stress management and meditation. It is a total residential program for a week, followed by periodical diet natural treatment and yoga supervision. The program is totally tailor made in every individual case. In this program, selections of recipients are with highest of care after detailed analysis. It is because, after every failed attempt, the patient is more depressed. So the responsibility is deeper in fertility care. Charitable Design- Dr. Dwarakanath directly designs, trains and conducts charitable programs totally free of cost through NGOs, Tapasya Trust and organizations like Rotary, Jaycees, Lions and Giants. The programs are for Street kids- counseling and motivational training, Prisons- rehabilitation of prisoners and the most important design is ‘Rural health Empowerment’- especially female health empowerment in rural India and at schools and colleges. He uses Yoga, nutritional teaching and simple meditations as tools. Dr. Saraswati, (Dr.Swati) physician par excellence with 18+ years of rich experience. She is a ‘Gold Medalist’ at her Medical school at University. She is a blessed Healer, with great dedication to the system, people and the Universe. 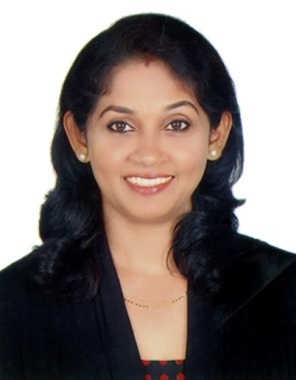 Dr. Saraswati Completed her degree in Indian Medicine from Mangalore University (She is from 1992 Batch). Her passion is Research, Yoga & Energy healing. She is experienced in treating spine and joints related ailments through Yoga and Natural medicine. She strongly believes that ‘Body heals by itself, provided we are ready to give it a chance. In her adult life, almost she has never taken any medication. She is well versed in home remedies using herbs in various forms like decoctions, packs and poultices. She strongly advocates, ‘Meditation’ for true self understanding and there by cure of any ailments from its root. She is grand master ranked in energy healing. She compassionately shares her knowledge and expertise in treating and teaching ‘Energy Healing’. She served in the world’s number one Luxury Island resort of COMO- Parrot Cay, Caribbean and COMO Shambhala Estate, Bali. She was Holistic Health consultant and Energy Healer at Caribbean, Bali, New York & in London. Her dedication to help fellow human by alleviate them from their suffering makes her a true ‘healer’. The specialized areas of her expertise are in three areas. Research- She is an ardent academician in analyzing the deeper truth and the flair for research came naturally for her. Yoga Therapy- there are a number of Yoga practices. The skill is identifying the right one for specific issue. She is an expert at it. Energy Healing- This is more an art and science than a skill to acquire. She has done deep studies with intense healing practice. Research- Our organization specialty is that we are directly into research and also guide for many other researchers in the field of Yoga & Natural Medicine. Dr.Saraswati leads the research department with her insight and the thirst for finding the beyond. Our Yoga research is on areas of Stress Management, hormone balance and postural corrections. Nutritional analysis and specific ailment based design is her niche. Yoga Therapy-Yoga is a vast science. The skill is identifying the right one for specific issue. We have designed a lot of Yoga based practices in consideration to modern day limitation of time. She is practicing Yoga since her age of 12, around 30 years of personal experience in Yoga and of which 16 years as a physician treating ailments of patients through Yoga. She is into encompassing Yoga and chakra axis. Her design of ‘Nutritional analysis’ too is based on ‘Tri-Guna’ concept of Yoga. Energy Healing- It is an ancient system of practice. Though there are a few Energy healing systems, she has developed her own technique which goes beyond body and mind healing and reaches the level of regression therapy. She uses this to remove the core cause of the issues instead of just treating the symptoms. She is also a grandmaster who can initiate people into healing techniques. She also does distant healing across continents for her clients. Her clients are from U.S.A and Europe. She served at Caribbean, London, Bali and New York. After graduating from medical school, we (Dr.Dwarakanath & Dr. Saraswati) worked in Gujarat-eastern part of India. That was a wonderful experience. We understood the importance of people and their lifelong habits. We realized the love of food of people and why it should be respected. We realized the standards and lifestyle change limitations people are ready to alter, happily. The organization was established in the year 1999, as a small clinic, in Tirupur. (It was called Mitra Yoga & Nature Cure Centre/ Mitran foundation). We resolved more seriously to live, learn, treat& teach natural way of living. We ventured into absolute natural healing and Yoga clinical research. We were invited to give visits to Bangalore & Chennai for giving Stress Management & nutritional counseling in corporate sectors since 2002. This exposed us to the plight of white collar empire of India, the Finance & IT sector. We did a thorough analysis of various sectors. The results of studies shown were nowhere close to reasonable healthy living in corporate world. In the year 2004 & 2005, the 2 years, we dedicated for ‘Awareness campaign’ to make the corporate aware of the health threat and its solution, ‘Stress & the ways to manage it’. The whole campaign of 3000 hours of free seminars/trainings around India was done by big team of Doctors of our organization and some hired help. It was a dedicated free of cost, Herculean campaign in service to the humanity. To quote a few as example who helped us to serve them with our awareness, Stress management programs are, Covansys, TCS, HCL, Birla Soft Technologies, Satyam, Ready Test Go Software testing, Teminos, Kumaran Software, Syntel, Eveready, SBI, LIC, Bank of America (off shore back office) etc. From the year 2007 until 2014, our activities were more outside of India. Mainly in Europe, Caribbean, U.S.A, Singapore, Malaysia, Bali & Maldives. This gave us a great experience and wonderful traveling. During this period, the learning and living great philosophies was blessed on both of us. Energy healing, Indian philosophy, cultures of world and our Indian philosophy opened new arenas to us. All this showered bliss on us. We had chance to meet, and treat great monks, leaders, business giants, leaders of fortune 500 companies, nationalities of numerous nations and cultures. I would say this gave us a partial realization. In the mean time, we started our charitable activities in India and parts of other Asian countries- street kids rehabilitation, prison reform and rural health plans. In 2015- After a yearlong sabbatical of self introspection, Dr.Dwarakanath came to his personal realization. The realization is the seed for creating the principle organization Tapasya. An Advisory team & a think tank of Doctors, from the fields of Natural Medicine, Ayurveda, Psychiatry, Cardiology and various other areas too, help design the programs at Tapasya. The eminent artist Ms. Julia Calfee, shares her vast experience, insight and wisdom. She is active in the mission- Tapasya. The realizations lead to charitable programs for the upliftment of people who live in the margin of the society. And the other realization was that to work for lasting changes in all human. So the Tapasya stands to bring about lasting changes in the personal growth of people seeking transformation, beyond just curing illness. # Natural Remedy- We prescribe Hydro therapy, compressions, oil applications, hot fomentations, Herbal packs, etc which are possible at home. 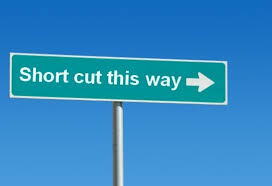 #Follow-up- It is mutually important to strategically plan treatments and also follow- up too. This prevents future ailments & right medications and side effects. # Meeting client/ patient in person- In certain conditions, it is imperative that Doctors must meet the patient. In which case, after the 1st or 2nd stage of consultation on phone/ mail, the patient & doctor must meet. Without which, it is not possible to continue the program. 1, Holistic Health Consultation- This is a consultation received by wide range of people even who do not have any ailment or people with border line issues. This plan helps to live a healthy & happy life. We design various programs in the areas of Stress Management. It involves, Yoga based methods, Natural Cure methods and Indian Traditional medicine. The Meditations and self help life-style programs designed by us are user friendly and qualitatively assessable. The programs are specific to people and the work culture in their organizations. 3, Weight Management- planning & Consultation- This is a popular one now a days. Like a personal trainer at Gym, we work along with aspirants who wish to get into or get back to healthy weight range. We advise on correct ratio of workout, nutrition for optimum results. This program involves a minimum of 3 months of monitoring, reporting and sometimes cajoling. The consultation protocol (see above) and weekly twice mail & 1/week phone call for keeping the spirit high and Skype consults are also added. 4, Fertility care program- this is to treat the issue of infertility. The fertility care treatments involve non-invasive treatments like Yoga, homemade herbal preparations, nutritional counseling, hydro therapy, stress management, inner healing and meditation. It is a weeklong total residential program. It is followed by periodical diet natural treatment and yoga supervision (this stage can be managed on Skype, mails etc). The program is totally tailor made in every individual case. In this program, selections of recipients are with highest of care after detailed analysis. It is because, after every failed attempt, the patient is more depressed. So the responsibility is deeper in fertility care. In the fertility care, mind plays more important role in balancing bodily functions and hormones. So Meditation, auto suggestion and understanding mind and body axis is important. Our fertility care program has 90% success rate. 5, Women Health Plans- this is mainly planed in keeping menopausal management and menstrual health in mind. Now a days the hormonal imbalances are creating a havoc in health both physical & mental health. We use non invasive methods like specific Yoga therapy & natural Medicine approach to bring about balance. We also design programs for Thyroid issues, menstrual regulation and painless periods. Since recent past, we are into, post pregnancy care- we call it back to square one! This is to bring about rebalance in weight, figure management through Yoga, fitness & nutritional analysis. This is a plan which involves a long term monitoring of blood reports, diet plans & treatments and the usual consultation protocol (see above). Monthly analysis of reports, food plans and activity are discussed for a minimum of 3 months. This program is a life changing one. Because, people usually hate diet plans. We give the most care in planning chronic ailment diet plans. Taste and personal preferences are highly respected. Even our therapeutic fasting is appreciated as feasting by our long term clients. We also advise home remedies, home hydro therapy treatments, Yoga, meditation and energy healing. We also teach ‘Chair Yoga’ for people with extreme conditions of joints related arthritis & over weight conditions. In chronic ailments, the care should be practical, personal and positively encouraging with periodical results. It is an ancient system of practice. 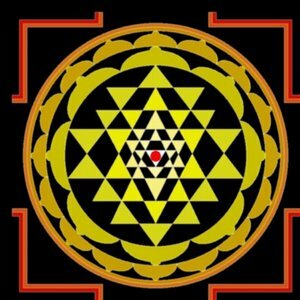 Though there are a few Energy healing systems (Reiki, Pranic Healing, etc), Dr. Saraswati has developed her own technique which goes beyond body and mind healing and reaches the level of regression therapy. She served at Caribbean, London, India and New York. She is also a grandmaster who can initiate people into healing techniques. We in Tapasya use this to remove the core cause of the issues instead of just treating the symptoms. We also do distant healing across continents for our clients. Our clients are from India, U.S.A and Europe. After initial consultation, distance healing sessions can be offered. 8, Yoga Therapy sessions-Private Yoga session as a therapy is conducted after a thorough consultation and individually designed program. These plans will include various techniques based on the needs of the clients. Pranayama, Yoga exercises, poses, rehabilitation moves, meditation, counseling, etc. This session is done in person or by Skype. We all care for our car and service it periodically. But how often we think of detoxification and body service for our supreme machine, human body? It is essential to have a healthy life style. It is also true, that we cannot avoid toxins entirely in this modern world. You don’t have to be an alcoholic or a drug user to do this program. This program is designed to teach or re-learn the forgotten art of self healing. 1. Simple Cleanse plan, where we consult you and plan a de-tox menu of food & treatments. You can follow it anywhere in the world. 3. Ultimate Cleanse Program- this is for people with extreme stressful lifestyle. This is for post chemo cancer survivors. This is for people who can afford ‘TIME’ and who want to do a turn-around in their health- both physical & mental. This can only be done under our direct supervision. When we can find mutually convenient time, we can do this program. It is a must to have a minimum of 16 days and maximum of 21 days. Of which, we Doctors of Tapasya will directly supervise for 14 days with 5 hours a day with you in a retreat resort of mutual convenient. Preferably, we suggest Bali or India). Time and tide waits for none! Gone are those days, people waited for the organization, association, etc to plan the retreat for them. In the recent past, the trend is changing. A family or a few families or a group of friends or Health Enthusiasts get together in a city or town. Plan ahead of a holiday period, contact us for retreat and enjoy the retreat at their choice of location. Mutually convenient location and time is the one important criterion. Usually these programs are organized for a minimum of 2 days & to a maximum of 7 days period. Programs can be both residential and non-residential types. For Example- My clients from 9 years back whom I met in a bankers stress management program, we meet every alternate year for 5-7 days. 4-5 of them with their family & friends, organize this retreat with me. They arrange the location and dates. I travel there. On retreat days, morning 6 to noon we have various program, later I prescribe the treatments at the spa. Evenings they/ we all go foresight-seeing. In these years, we had retreat at Thailand, Malaysia, India, Sri Lanka and in Europe. Charges apply for all the above mentioned services. Please feel free to contact us for more detailed information. How does our entire program get its shape? How is it different? We are the pioneer organization in India to do scientific medical studies on stress. We did extensive studies on professionals of Corporate and IT industries in India. Based on these findings the health problems are addressed with training programs. Our programs are not just curative, also preventive. The uniqueness of Tapasya- all faculties who offer the trainings are Doctors. We use only the facts, proven in laboratory/ clinical validation. Yogic Philosophy &Scientific analysis results are our two limbs. Our training methodologies are advised by an experienced teaching professional, Mr. K.S.Raman, with 32 years of experience in teaching, writing text books, managing institutions of education and a man of high social responsibility. And the specialty (Industrial) training knowledge is from an industry man Mr. Srinivasan, whose expertise is also unparalleled. An Advisory committee & a think tank of Doctors, from the fields of Natural Medicine, Ayurveda, Psychiatry, Cardiology, art and various other areas too, help design the programs. The eminent artist Ms. Julia Calfee, shares her vast experience and wisdom and she is active in the mission. A specially designed training program for IT professionals is called ‘IT yoga’; this is also fondly named as ‘Lap top Yoga’, for its compact & user friendliness, by the people who are benefited by it. We Tapasya doctors are using ‘IT yoga’ in many a countries. In case of IT professionals, the 12 common problems faced by them are taken into consideration by our team, analyzed by experts and conclusions are the solutions, we give you as training. (Head ache, Disturbed Sleep, Eye strain, Extreme stress symptoms- anxiety/ depression, Neck pain, Cholesterol issues, IBS, Ulcers, Low back pain, Diabetes and Cardiac care) In this program, greater emphasis is given on 5 areas, 1.Spinal realignment training, 2.Specific Stress management techniques, 3.Cardiac care with diet & breathing, 4.Restoration of Digestive system and 5.Eye care. User friendly special techniques like Anger management technique, Leisure management training, Dietary life style in practical simplified ways, Quality sleeping, and War on free radicals are also imparted. The best parts of all our programs are, the results are all quantitatively assessable periodically with our self test charts and basic lab tests. Our ‘IT yoga’ has a highest proven record of positive results in people inculcating it to their life style, because of the results it produces in their mind & body. Environment factor like change from routine location helps the participants to relax and the outcome of the training is manifold. When it comes to selection of venue, our first recommendation is a resort/ banquet room of a hotel. The second choice would be your office conference room without the interference of office on the training day. ‘Life is Beautiful’, our program on ‘Promotion of Positive Health’. A program favoured mainly by ‘Financial’ sectors- Banking, Insurance, Charted Accountants and Traders. Recently by IT sector too. Tapasya-Mitra’s this program covers areas like relationships, family, leisure, Stress & its management, team building, health awareness, preventive health care, yogic solutions, life priorities, the most important factor called ‘Reversing Heart Disease Program’. In this program the emphasis is on philosophy of life, happiness analysis, subconscious control technique, general physical fitness and Dietary counseling. The major sources of this program are Yoga, Zen & Veda. The ‘Life is Beautiful’ program is done in 2 methods. Type 1: Gurukul type, where the training is imparted with group discussion style and we suggest this style for senior members only, as it should not become a joke or gossip. This method will only be successful in resort like facility preferably 2 days residential session. Type 2: Seminar type peppered with few discussions, where the training can be of 2 days, still the preferred location would be a banquet hall of a good hotel or at conference hall of office on the ‘week end’. As the topics involve more on mind, the new environment accentuate the results and forms a solid base in participants. This program is also best recommended with families of the professionals. In the age of technology & fast living, the maturity and respecting space also plays a major role. Our program gives frame work to inculcate it easily, these trainings in their life. To have our ‘Corporate Stress Management Training Program-2- LIFE IS BEAUTIFUL’ or for more details, contact us, mail us to, sayno2stress@gmail.com. Total Outlook, it is a program of surgical precision. Our Doctors who are the faculty of the training will discuss with the participant group individually/ concerned leaders of your organization, to micro personalize the program. The sample protocol of our ‘Total Outlook’ program as follows. #a personal consultation is done individually. #The Group training program conducted for 2 days. #The personal diet plan mailed and revised once after 5-7 weeks over mail. #The personal physical training regime designed and mailed which will include Yoga & other exercise plans. This is revised once on mail after 7 weeks. #The personal stress management techniques are selected and mailed, individually. #A day long group follow-up is offered for the participants after 60 days. Tapasya-Mitra’s this program covers the above mentioned and other important areas like Relationship Nurture, Family Binding, Leisure Optimization, Stress & its Management, Health awareness, Preventive health care, Yogic solutions, Life priorities, the most important factor called ‘Reversing Heart Disease Program’. The tools in the trainings are Seminars, Nutritional Counseling, Yoga with Asanas and Pranayama, Zen meditation, Group activities, Group/ self assessment charts andQ & A sessions etc. This program is the top most ‘privileged program’ of all. For our ‘corporate stress management training program-3- Total out Look or for more details, contact us, mail us to, sayno2stress@gmail.com. Our programs are usually 2 days training, in few conditions it is an extended 3 days retreat. Very rarely we have the intense 1 day session. *Our programs are organized usually by corporations/ industries for their people (partially or fully sponsored by the host (Your)organizations). *In the recent years there is a healthy new trend, where professionals, friends together with their family members form a circle & they arrange our programs in a week end, instead of waiting for their organization. This way it is their convenient time & likeminded people come in group, so it becomes a relaxation & the Family factor is present. *Occasionally, we from Tapasya directly organize and conduct retreats in major cities, where individuals register & participate in our programs organized as retreats in resort. To arrange our programs for your organization, just mail us & after a telephonic conversation, you can avail all the details of our program, like the contents, duration, syllabus, faculty, the objectives & remunerations etc. For a generalized understanding the above description is presented. 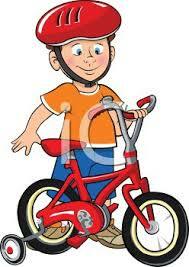 The real age of molding the Mind and its relation to Body is between 12 & 21. The possibilities and distractions are equally powerful. The core potential can be channelized towards great possibility. It is done with framework of Science of Yoga, Mind games & proper Nutrition. Our programs for students are designed, keeping in mind the need of their age, the ‘Wow’ factor. The ‘Mind Team’ of our Tapasya, consists of the founder doctors, Psychiatrist, Psychologist and Sports Psychologist. We know Brain physiology of this age and our program’s success is because of our ‘Mindful Thoroughness’. To kindle the mind of students, the thirst should be created and then friendly guidance to quench the thirst is to be taught. Students programs are of various types. The factors like age, type of curriculum, social environment and the peer-group psychology are all taken into consideration. Even the examples we quote on our ‘value education’ varies between groups. We also offer free awareness sessions apart from the paid programs in Parent Teachers meetings, school staff meetings and for students. We have specialty designed Yoga based personality development programs for college students. Of course the program design varies based on their curriculum, like Engineering, Medicine, commerce and arts. Note: We at Tapasya believe that knowledge must reach the general public. So, if you are expecting some definitions from medicine books, we are sorry. We don’t want you to read & feel it is some Greek & Latin. We are here to give you in the deciphered form, in straight forward terms only. It is easily understood & that is the whole purpose of the knowledge- outreach to whole mankind. The Stress is of 2 types, good & bad. But in usual terms we refer only for the Bad. Simply put-Anything unpleasant you come across is stress. It may be bad mood, failed wake up alarm, someone jump queue in petrol station, first person you come by at office is your Manager!, late lunch, towering dead line, news of the imminent arrival of your in-laws during weekends, etc. What happens,’ within you’, when stressed? It’s a complicated reaction inside you, chemical, hormonal, electrical, pressure changes, pulse rate, muscle tension, pupil reaction, unreasonable thinking, flight or fight plan, a step towards heart attack, etc. 1, Immediate- The weakest part of our body is first affected, if our cervical spine (come on! I am talking about our neck) is weak, we feel the pain in neck. If our digestive system is weak, we are met with acidity or IBS or diarrhea or constipation or a simple muscle cramps, etc. 3, Ticking Time Bomb- Silent but dangerous, an act of stress stimulates free radical, a natural chemical in our body. This affects the inner wall of arteries & which creates cholesterol plaque formation, to put it in 2 words you are walking towards ‘Heart Attack’, holding hands with stress. What are the health / disease consequences of Stress? Gone are the days, to complain just about micro organisms and infections. The 4000 year old Asian life style concepts of Yoga, Ayurveda & Chinese medicine, all mention the same. It is to consider the ‘Body as a Whole’ & Mind plays a dominant role to one’s health. In new age medicine, we call it ‘psycho-somatic’ or ‘mind body medicine’. Many a diseases are caused or aggravated by this psycho somatic factor called, Stress. The onslaught of ‘Stress’ on mind over a period of time reacts on body. Is any connection found between Stress & Cancer? The aggravation of conditions in Cancer by stress is proven clinically. Stress causes, inflammation, production of free radicals, impaired immune system and total exhaustion. Pray to god, to enlighten you the difference between the two”. The essence of emotions is the destiny of human being. Misery, mystery, despair, ecstasy, love, hate, amusement, boredom, bliss & many more emotions decide the quality of life. Life of humanity were contemplated, analyzed, researched & amazed by ancient monks of east. They tried & to an extent of greatest amazement, understood it too. These were written down in the form of folk songs, Epics, Vedanta, Buddhist Dhamma, and Zen philosophy. Plight we are responsible for: These understandings are a vast source of knowledge in preventing and resolving the modern day disaster, Stress. Emotional culturing reached a great setback in this century. The final nail in the coffin is when the (MI) moral instruction hour of schools was allotted for math teacher to complete the syllabus. Many a things like this, lead to a condition where, schools produced centum students, who could get an admission in top ranking schools & there was competence & passion in them but the value &compassion were lost forever. They end up attempting suicide, unable to cope with stress, top ranked official joining the world of bribery, lack of respect among spouses even in educated households, substance abuse in doctors & technocrats, etc. The emotion is a feeling & cannot be quantitatively assessed easily. We come across richest people, despite their abundance, are in despair. We also see daily wage workers who struggle to meet the ends, but in a content happy life. So the question is where is the missing piece of this puzzle? The answer lies in the emotion & its culturing. 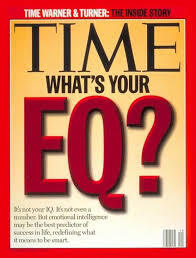 Gone were the days where a person’s I.Q, was alone a yard stick, now the E.Q, is taking front seat in many a forms like team spirit, coordination, etc. We in Tapasya-Mitra have developed a lot of games & exercises in this area & are in great demand by Corporations for their middle & top management people. There are successful practical tools for Emotional Culture (EC) & to improve the Emotion quotient (EQ).One product Indians have never imported & the first product to be exported by India is one and the same. They are the tools for stress management & emotional culture, ‘Made in India’. These Indian tools are proven in laboratories & in the real world too. They are Yoga, Vedanta & Buddhism. To this day, we never had the plight to import this one product, why should we start it now? We are not here to belittle about the west, but we should not fail to analyze the western concepts of emotional management, then it is a mistake of omission from our part. Here are the few such tools of the west, the punching bags, where you hang a boxer’s punch bag in office or at home & punch it when you are upset. It did no good other than improving the biceps. There is also one more but non violent mode, count from 1 to 100 or more, until your emotions are stabilized. That too proved ineffective. The Freudian concepts of human psychology are already proven to be wrong at many counts. There is another technique, sit & have a talk; of course, it is a very effective tool, which the whole world should learn, ‘the dialog’. The communication gap is a greatest of all invisible walls of this modern world of busy schedules, personal gadgets like mobile phones, internet, walk man, etc. The science becomes a necessary evil here. Yoga is the complete tool to tackle the crisis of emotions. Please do not imagine just the complex postures as Yoga. Postures are just a small step in Yoga. The top one on top is Jnana yoga, the yoga for intellects, where you analyze the complexities of life using the assistance of Vedanta & principles of yoga. This is purely an exercise of mind. Of course it is the most challenging one too. The next option is Bhakti yoga, yoga of submission. This concept advocates a lot of tools of culturing. For example, chanting (Japa), singing, dancing in elation, etc. ISKON concept was conceived from it & proved effective. Ashtanga yoga & Hatha yoga, The most popular & the most miss understood concept. Here the methods are like a road map to bliss & we just need sincere effort from our side. In this path, culturing starts at the physical, then the emotional & culminates at the spiritual well being. This is also a path which can be practiced by common man & need not be a monk. Yoga has given postures (asana) which are to be coordinated with breathing. The mental balance is brought about with the co-ordination of postures, breathing and through meditation. There are different breathing practices to address the various specific need of humanity. It is called Pranayama, regulation of life through breath. Meditation (Dhyana), a method by which mind can be transcended to a state of blankness, zero, total silence. Through this path we can go across barriers & achieve infinity, devoid of stress. There are around 108 types of meditation in ancient scriptures. Of which 11 are very much user friendly. Yoga Nidra, a technique through which the meditative calmness, and effect of hours of dream less sleep is achieved by well in just 20 minutes. Veda, Vedanta, Buddhism principles too help in Emotional culture, if it is used in right place at right time with the proper understanding of the principle & the context of usage. The Buddhist meditations are incomparably the best. The Vedanta based anger management tool has no parallel since thousands of years. The real challenge comes in blending it proportionately, sculpturing it to perfection through analysis by experts & making it an easy learning experience. It should be practical in usage. This is the only way the concept becomes life style instead of vanishing at the level of seminar room. This challenge was taken up by us. We successfully completed this mission. We are serving the humanity with our training programs based on eastern concepts & medical understanding. Tapasya stands victoriously up, because of its user friendly package. We regularly do quality up gradation. We modify the program with adjustments according to the client requirements. Exceptional training, visible results & positive feed backs. We also design more specific programs for the clients whose requirement demands the special attention. We study their industry, work culture, management expectations, employee difficulties & our team of experts design a tailor made package. This training is handled by expert doctors at the organization, in the venue of your choice. Follow up too, done by qualified doctors of Mitran. Modern physicists have looked to Vedanta for understanding their proposed unitary field of consciousness behind the universe, to explain the coherence of all cosmic laws. India for centuries has had one of the most rigorous, profound and insightful intellectual traditions in the world- the great system of Vedanta. Vedanta is more than a mere conceptual intellectual tradition. It is a way of meditative knowledge, beyond the mind. Its opinions to a higher truth not limited by time, space or person. Vedanta brings significant depth and originality of thought and brings about progress in spirituality and science. Vedanta was considered as an otherworldly approach. Some considered it a joke, where it regards the world as Maya or illusion. Indian philosophy was joked at as illusionary by most foreigners and even by some Indians alike. Since Einstein's Theory of Relativity over a century ago, Vedanta is looked about by scientists and scholars as the cutting edge of physics. Modern scientists from the time of Einstein are discovering the illusory nature of physical reality and the existence of subtler energy and information currents behind all that we see. Vedanta is the science of consciousness at both human and cosmic levels. Vedanta recognizes consciousness as the ultimate reality and affirms its presence in all existence. Modern physicists have looked to Vedanta for understanding their proposed unitary field of consciousness behind the universe, to explain the coherence of all cosmic laws. Vedanta is the unitary philosophy behind the practice of yoga, explaining the oneness of the individual soul with the universal consciousness that yoga aims us to realize. 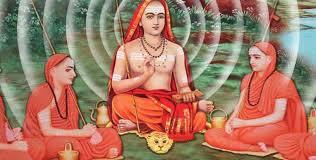 Vedanta is considered to be the highest of all yoga. In modern India, Vedanta brings the independence of the spirit and the awakening of the yogic traditions. Vedanta was the basis of the teachings for many of the greatest minds of India from ancient to modern times, from Krishna to Shankara to Swami Vivekananda. More recent monks bring the message of Vedanta with logic, humor and insight. The Swami Dayanandji and Swami Chinmayanandaji, Osho and Satchidanandaji are few examples. Vedanta teachings of these modern day monks resonate with the youth and intellectuals alike. Vedanta is an art and science of consciousness, an inner science of self-knowing. The modern science can benefit from the Vedanta. Vedanta teaches a way of self-knowledge that does not require any beliefs. 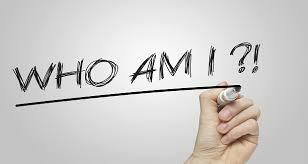 Vedanta says that we must first know ourselves in order to reach the ultimate truth. Vedanta is a rational approach towards introspection. Yoga and meditation enable us to reach ultimate reality. Vedanta brings us to perceive our own consciousness which is universal in nature. Krishna says, “If someone can remember me in my ‘Aum’ form and live in Aum at the time of death, he will attain to the ultimate, the eternal- Moksha”. The word Aum is an extraordinary, rare word. People who discovered Aum were in search of something which could be a bridge between the word and silence. While any word has a meaning, the silence is neither meaningless nor meaningful. It is beyond both, it is the beyond. Aum is constituted with the three basic sound forms: a, u and m. A, u and m are the basic sounds of the science of phonetics. All other letters of the alphabet are their extensions and combinations. Although Aum was not written in as a word, it remains a distinct and distinguished symbol. Aum in its original form is available in Sanskrit, where it is in the pictorial form, it is neither a word nor a letter. 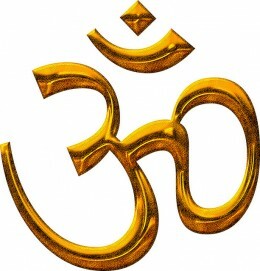 Aum represents the space where the finite world of the words- sounds end and the infinite world of the silence begins. It forms the frontier, the border line between the word and the wordless. Aum is not even needed to be just uttered or chanted. It has to be really heard and experienced. When we go into deep meditation, when all disappear, the sound of Aum will begin to vibrate. This real Aum is heard when all words disappear, all noises cease. When mind and intellect, thought and word all come to an end and silence begins, then an extraordinary subtle vibration remains, which this country has interpreted as Aum. When the immense emptiness comes into being, it has its own sound, its own music. It is called the sound of the cosmic silence. It is called the anahatha, the unstruck- the uncaused sound. The clapping of hands or the sounds of drums is created. Meditation is a journey into silence. When all sounds disappear, when there is no duality, when you are utterly alone, then the causeless sound comes into being. India’s sages have called it Aum. The English language has three words: omniscient, omnipresent and omnipotent- all of which can be constituted with the word Aum. The real ‘Aum’ is heard when all words disappear, all noises cease. When mind and intellect, thought and word all come to an end and silence begins, then an extraordinarily subtle vibration remains, which is ‘Aum’. When the immense emptiness comes into being, it has its own sound, its own music. It is called the anahatha, the unstuck and the uncaused sound. As mentioned earlier, the English language has three words: omniscient, omnipresent and omnipotent- all of which are constituted with the word Aum. Philologists may not understand. After meditations and listening to anahatha, I feel, omniscient means that one who has known the Aum, omnipresent means the one who is present in Aum and omnipotent means the one who has become powerful as Aum. We all can feel it. The Aum has been found in many forms all over the world. It is available in both the ancient sources of religion- Hinduism and Judaism. If there is anything common between Hinduism Buddhism and Jainism, it is Aum. Aum is not manmade but heard in the depth of meditation. It is the cosmic sound. Zen sages ask their disciples to go and find the sound of one hand clapping. The sound of one hand clapping is something unheard of! This is Zen’s own way of saying the same thing- the anahatha, the unstuck sound. The real Aum is an explosion. It emerges from the depths of your innermost being. Centre for physics and meta-physics, Switzerland, world’s foremost organization of authority in Basic sciences have found that the sound rhythm of Aum creates a pattern. This design is similar to that of ‘Sri Chakra’, of the Indian monk Adi Shankara. The resonance of Aum is deeply penetrative into the sub conscious and unconscious mind. Aum is proved to bring out the maximum potential of human mind and helps in crossing the frontiers of possibilities and so called impossibilities. A, U, M, sounds of the Aum are the primordial sounds of Humanity. Dr.Deepak Chopra, world renowned Cancer specialist and modern day Guru and the Dr. Dean Ornish- pioneer in ‘Reversing heart disease program’ use the power of ‘Aum’ meditation in their therapy. So it is not a surprise to know that Krishna strongly advocates to the humanity about the importance of ‘Aum’ in this life and after. The research studies & analysis on professionals in their work culture, leisure management, family ties, habits, etc. International scientific community, guidelines says with a survey a profession is graded as most self hazardous and stressful, based on the findings like young age heart attacks, early divorces, substance abuse, early diabetes in 30s, hypertension, etc. From the studies, done around the world, Doctors and then the banking sector are graded as most self damaging of all profession. In India, our Tapasya Mitran did an extensive survey (1st of its kind) in 2004. That gave a very disturbing result. It showed that IT professionals are the worst affected followed by Banking & other financial sector. Doctors are at the next level. (It is not that Indian Doctors are doing better. It is just that IT sector & Finance sector overtook the Doctors in self damaging). 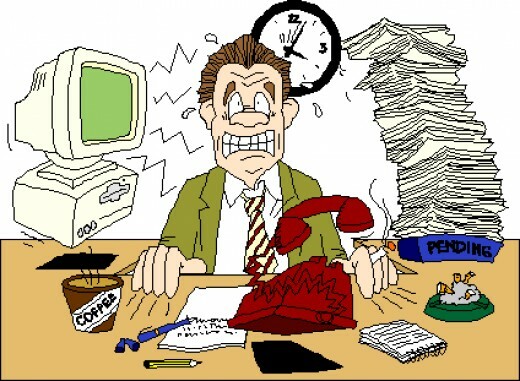 The major occupational hazard in IT is stress induced by never ending deadlines. This was our study conducted before 2004. The present study is half way and the results are no way encouraging. This gave birth to our quest to find solution. Tapasya-Mitran with an aim, ’How to be successful & yet be happy’, brought out our programs for white collar professionals. Ours was the first organization in India, to have spent thousands of hours on study on executives, IT professionals & other white collar professionals. The largest study on Indian IT industry was done only by Tapasya-Mitran, headed by the director of Mitran foundation Dr.Dwarakanath. To this day no one has surpassed our studies. In our analysis, the major findings were eye strain, cervical & lumbar disc-prolapse, high blood cholesterol, many in border line diabetes, gastric ulcer, IBS, sleep disorders, etc. And this compelling evidence brought us to a platform & realizing the time factor, we designed the compact tailor made program. The research studies & analysis in professionals on their work culture, leisure management, family ties, habits, etc. Of the 3000 Professionals -18% got result of HAPPY! 53% are in dire need of serious look into their Life! A Study on leisure management: This was a vast study; Tapasya- Mitran conducted on professionals about their leisure management habits. Leisure management is nothing but the way the people spend their day off & their level of mental satisfaction, at the end of it. The study results are a shocking surprise for us. Out of the 3000 professionals we studied across the country, about their leisure habits, only a bare minimum of 18% got the result as Happy. And another 22% are in the medium level, that is to say the Happiness is within reach most of the time, but are able to experience very rarely. Of the total, 7% expressed that they were in need of professional help to guide them in spending their time off. The rest, 53% were in dire need of revamping their personal life. The Group stat: The point to be noted is out of the whole group of 3000, 82% people are 2-8+ years into their job and in the age group of less than 35. Most of them confidently expressed their positive professional future. So the question of job insecurity should be ruled out. According to the Harvard school of management’s studies, the quality of leisure time spent will have direct effect on work performance levels in office. This is the reason, we have advised corporations around the world, in practicing forced holidays with paid vacation plans to rejuvenate their senior work force & this prevents them from burn out. Many of our client organizations are having tie up with resorts & spas which save the company a ransom through concession rates. Tapasya is advisors for many organizations, in this regard, for both Corporate & Resorts. We design a fully productive & natural rejuvenation holidays. This is mutually beneficial for all. All our corporate trainings have special modules designed in educating & we are very successful in making the people best (self) leisure managers too. We all have heard it from our elders, family doctors & even we too suggested it to our friends. Yes, the travel, change of place, etc. We as doctors are always surprised about the swift recovery, we find in people, when they try change of place even for a few days. People with mental shock, situational stress like loss of loved one, unexpected disappointments etc, their immediate problems are blood pressure, sleep issues & anxiety, they very well comes to normalcy in a changed environment. The modern day stress & strain can leave a person with no time for self. This is the hefty penalty on relationships, personal & official. The condition is worst and taxing on the couple, when both are working & it can be pathetic if the couples are not seriously committed in their personal life. This is the major reason for raise of divorce suits filed in family court recent years. This is also the reason for raise in cases of depression, anxiety, suicide, drug abuse, diabetes & young age heart problems. For a good husband & wife relationship, communication, touch, sharing, laughing, assuring, romance are all required. When people are in a so called unavoidable, rat race of jobs, promotions, over time, personal pursuits, the thing first to get sacrificed is, ‘relationship’. It is not true in case of all the working couple, few are good in keeping both the side in balance. But most are not succeeding in it. Many a times, just the absence of arguments & misunderstanding in a relationship itself is considered as great relationship or normal relationship. Is it so? No it is not the same. The strong & successful relationship is more than this, yes; the factor called ‘life’ is missing in it. The family psychologists around the world are pouring over this with concern. Even in ancient times the same problem was existing, but in much less proportion. This area of concern was discussed in Vedic period too. We at Tapasya- Mitran too did quite a few research analyses on this area in the line of suggestions of world famous psychologists. The conclusions are put into a easy program and presented for your perusal. These suggestions are tried by hundreds of couple & have expressed their successful results, improved relationship, reduced arguments & more important factor, their rekindled fire of romance & love. Couples, Take off together to a destination (if you are a single, you can go alone or with a good companion), preferably by a beach or a hill station. There are 9 steps to be strictly adhered for you to feel the results in this ‘take off plan’. Step 1, Select a place where neither of you know any one (so, you can leave your hair down, remove the mask of pretension & a chance to be for each other only). Step 3, the take off should be a minimum for 4nights & 3 days, the best results are achieved if you can afford to 5 nights & 4 days (friend, we surely don’t object to longer than this). Step 6, (This step is for the couples only! not for the people going ‘with just a friend’) try to be romantic, hold hands, watch stars, walk in a same shawl, try a dance together (even inside the room is fine), try not to be on the idiot box (T.V). You can watch a movie of mutual choice, preferably cuddling together. Last but not the least ‘kiss’ each other more often. Step7, every evening during the ‘Take off’ days, spend 15- 30 minutes in silence by yourself. Preferably looking at a scenic spot, observe the thoughts, do not control it. After the 15- 30 minutes make 2 journals. Journal-1-Take a blank paper or a journal and write down all the happy moments of the past 3-4 months. It can be as simple as a note from a friend or a lovely message from your spouse or a beautiful smile from a child playing on the park. Journal-2- Take your journal and write down all the happy moments you want in the next 3-4 months. Even quite a few can be a treat to you from yourself. After the journals, read what you have written and add anything more! Step 8, even before you leave on takeoff, sit together and make a pledge together that you both will not discuss future of your kids or self (because future is always a source of anxiety, even for bill gates! Believe me! ), no arguments of serious nature (if any, note it & come home & discuss- not at take off), no silly disciplines like keep the shoes in place etc, strictly no calorie calculation in a restaurant. Try ‘take off’ twice a year, if you can- more than twice. It is compulsory for couple where both are employed. It does not mean you should avoid kids & dependants in the ‘Take Off’. It’s just that ‘save the boat, so, you can carry passengers and complete the journey too’. Take off, Live, Love & Re-invent! Tapasya-Mitran takes this opportunity to thank psychiatrists, psychologists and social scientists who helped us design this program. If you are 30 you are left with just 12 years to really live!? Take time to look ‘into’ to make time for the self! My portrayal may sound as some Utopian ideals or in case of a few an ‘ultimatum’ to wakeup. All that I mention here are happening and in many of us totally passing by. We just have to give some time to understand this. I wish to explain a small example given to me by my Master- an essence from Vedanta. We are not aware about our previous life (Jenma) even if we believe in it. We cannot be sure of anything in our next life. About this present life, we know what we are and what we should be able to do. Do we know the (real) time we have got to live our life? A simple arithmetic, on life, let us believe we are going to live 100 years. It is possible both biologically & as per Veda too. In which, real life of our choice may be possible only till we are 90, then dependence becomes inevitable, so we are left with 90 full years only. Assuming we are 30 years old, the life left for us is 60 (90-30). Of the 60 years left, we are going to spend 20 years on sleeping (8 hours is 1/3rd of a day- so 20 years of sleeping) we have 40 full years to live (60-20). The earning our bread & butter, the career, we spend 8 hours a day in office. (I see your smile! Is it 8 hours only?) We spend 20 years in it. If we are 30, of the 60 years of life, we are left with 20 years of life to live. If we survive 100, if we are 30, our chance to live life is 20. We may spend time in routine things like brushing tooth, attending nature’s call, reading news paper, bathing, having breakfast - lunch – dinner, commuting to & fro for job etc. It may be 3 hours a day. 1/8th of our day is spent, so 1/8th of our life, that is approximately 8 years. If we live 100, if we are 30, we are left with 12 sweet years to live our life! How are we going to live our real life? At ‘Tapasya-Mitran’ we have given a lot of thought about ‘Life’. We are here to share the wisdom from research and also from analysis of ancient scriptures. Tapasya is always keen to support charitable ventures seeking to help the environment and less privileged members of the community. We have ongoing involvement with a number of charitable projects. #- We doctors of Tapasya-Mitra are dedicating30% of our time and 40% of our earnings for this Trust activity. . .
#- We are always recruiting volunteers, college students (above the age of 18) who are looking for a part time work, where we pay a decent stipend to work on our charities. 2- To share our ‘Yoga & Yogic Sciences’ research findings among Yoga teachers & physicians of Indian system of medicine in rural regions. 4- To create awareness among villagers, factory workers & daily wage laborers on the importance of locally available nutritious herbs, Yogic living and basic Yoga for a happy and healthy life. 5- To organize Yoga & health awareness camp among the Self Help Groups, Rural development projects and agricultural groups. 7- To compile rural and tribal spiritual practices, Yoga and research the reasons behind it. 9- To sponsor a Think tank and a Centre for authentic Yoga and Yogic Sciences. This will function as a reference point for future generation to understand the science and art of Yoga in its undistorted true form. 10- To fund or sponsor fully or partially, Yoga and Yogic Sciences research, for the aspiring, deserving candidate/organization. 11- Ambition for future- To start a ‘University of Yoga & Yogic Sciences’ and a Teaching Hospital of Yoga Therapy and Yogic Sciences. Point 1-8 mentioned above are fully functioning. 9 are under construction in the form of collecting the vast treasure of knowledge. 10 and 11 are just in the thought. It is the time and the supports we get are going to tell us the possibility! The Yoga Research is a scientific research founded and actively run by the couple Doctors Dr. Dwarakanath & Dr. Saraswati, in association with likeminded people. *Our aim is to provide an accurate assessment of yogic practices within the clinical framework. The practicing physicians of Indian system of medicine and qualified Yoga trainers can use the accumulated data and conclusions of our research. We believe, Yoga is essential for human development. *We and our friends across the international arena have undertaken extensive studies in the specialized fields of Yoga training. These cover a diverse range of subjects within the areas of health and medicine. Our studies are in psychology, physiology, fertility & Hormone balance in women and adolescent children. Our ‘Pain Care’ researches delve deeply into inflammation control and pain management in chronic and acute conditions. *Our ambition for future and we are already beginning to wade through. It is in research and analysis on education, in-depth literary and scriptural studies, and further research into the ancient science of yoga. At present we are working in areas involving fundamental research, clinical research and applied research in the fields of Yoga and Yogic Sciences. *The effects of yoga on improving efficiency, for example, in the police forces, defense services, in prisons and in children of the socially underprivileged are carried out for ‘free’. These projects are our social responsibility programs. *Future plans include literary, scriptural, medical and scientific investigations into Yoga for physical, mental, spiritual and social upliftment. *To print, publish, exhibit, subscribe and subsidize the periodicals, books, pamphlets or posters, produce albums, videos, films etc. related to research that may be considered desirable for the promotion of the objectives of the research facility. *To acquire, build, hire, maintain, run research laboratories and related facilities and to equip them with amenities considered necessary for the discharge of the functions of our research facility. *To provide award, institute fellowship or scholarships stipend remuneration and/ or other similar payments to students and research scholars to facilitate their participation in scientific research of interests to the Trust. If you are interested in sponsoring part of our charitable programs, please contact us. Our website and programs are intended to help you find your fire. We help you kindle it through our message shared with you. This is to make a difference in your life and through which on the world you live. We just want to help by giving great information, training and strategies that move you forward in life. We feel transparency is important and we believe in high standard of integrity & we teach the same. © 2015 Copyright Tapasya Know Thyself.